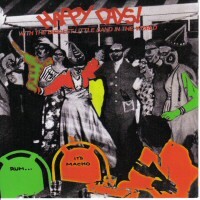 Happy Days is aptly titled as it presents our happy music in the indigenous calypso. Master pianist John Buddy Williams is in the mix of a strong string element of cuatro, guitar and violin. Add the distinctive percussion and one feels in the midst of authentic, creative sounds.